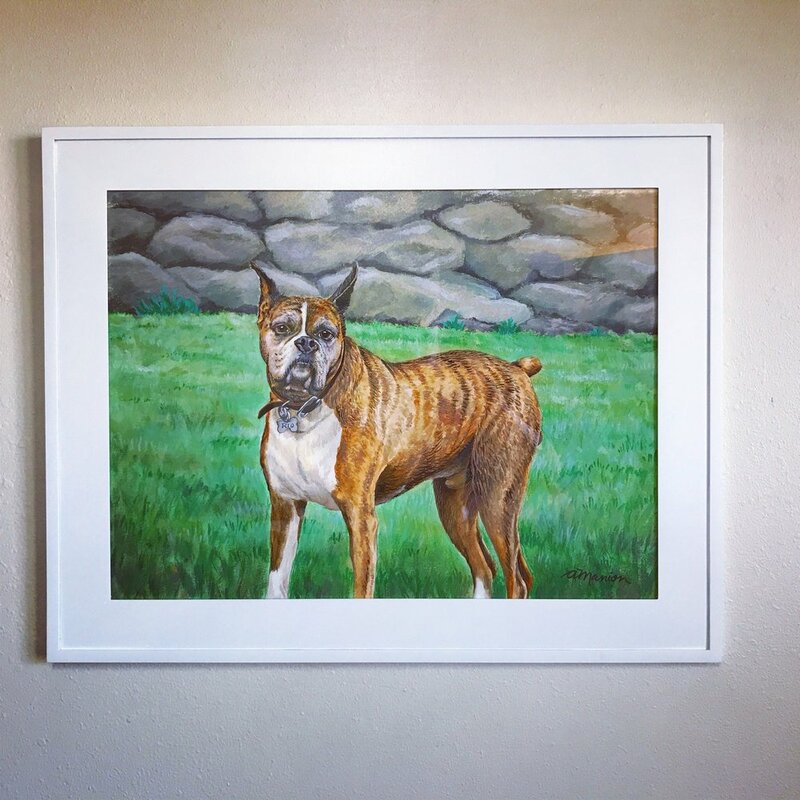 Send me your favorite pet photo and I will immortalize your loving friend in a custom work of art. Drawings start at $150 (for an 8x10”) and paintings start at $250 - contact me for a quote. 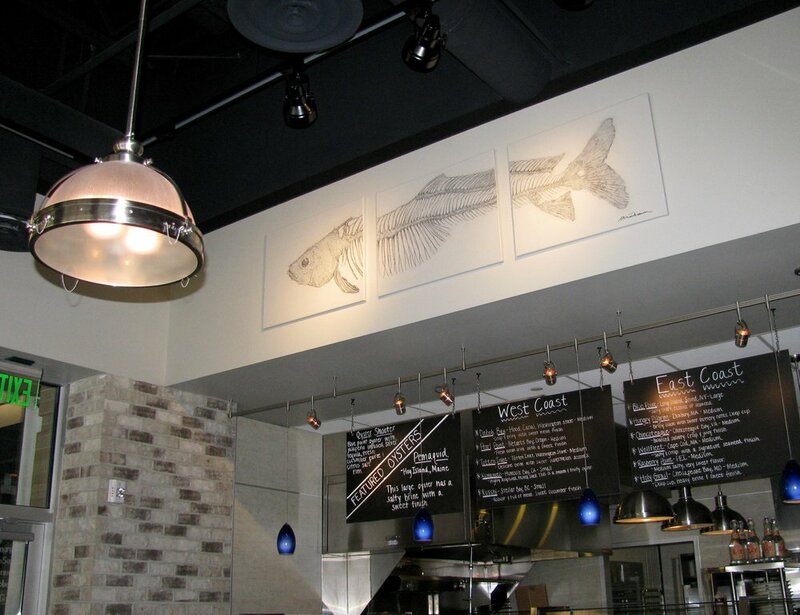 I designed and created custom art for the dining room and oyster bar at this award-winning fish restaurant in Warrendale, PA.
Charcoal on canvas. 24 x 36"
This is a custom sign is filled with sound-absorbing foam. Enamel on canvas. 28 x 48 x 2.5"
Charcoal on canvas. 24 x 48"
Charcoal on canvas. 24 x 60"
Custom-made for the dining room at Off the Hook. Mixed media on canvas. 48 x 60"
Mixed media on canvas. 48 x 60"
Hand-drawn lettering for the patio at Off the Hook. 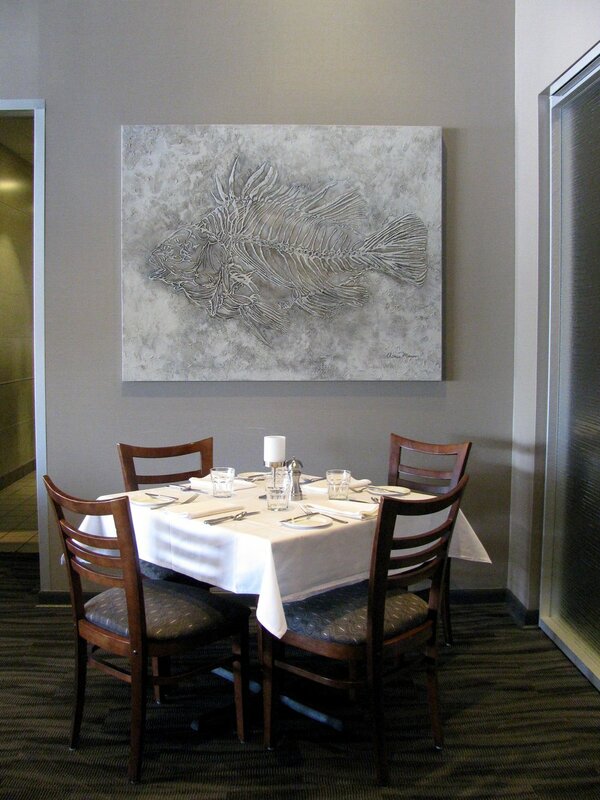 I designed and installed a 17ft mural at Bill's Bar & Burger at the Westin Hotel in Pittsburgh, PA.
Dinosaur Mural - Custom-designed and installed. 5ft x 10ft Acrylic latex. Chalk Board Art for Max & Erma's in Cranberry, PA.
Hand-painted photography backdrops - Latex on muslin, 10x30 feet. Created for Jen Carver Photography. All photos copyright Jen Carver. 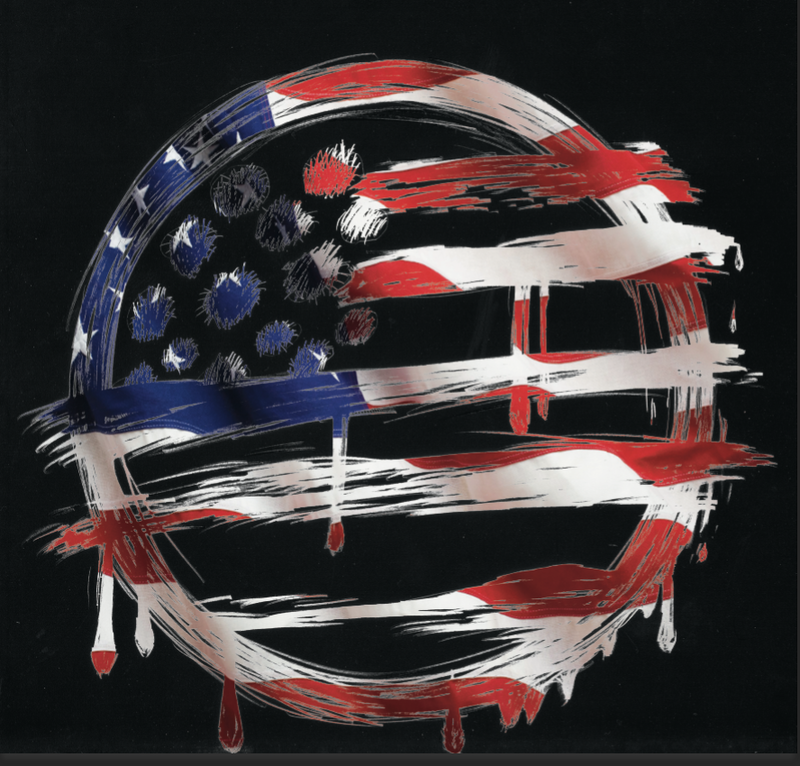 Album Art - (Below) I've worked with various local musicians to create custom album art. Here is some work I did for B-Rad & The Best of the West Playas, jam band Euphonic Brew, and garage band JARD.